Barnsley are prepared to be patient with Cauley Woodrow as he looks to get his Reds career up and running. Woodrow was a marquee summer signing for Daniel Stendel's men as he arrived on loan from Fulham, in a deal that will become permanent, following the sale of Tom Bradshaw to Millwall. But it has been a nightmare start for the 23-year-old, who picked up a muscle injury in one of his first training sessions and has yet to pull on the Barnsley shirt. Woodrow is upping his rehabilitation and has returned to training, but is under no pressure to come back. “It is up to the coaching staff to tell him that we don’t expect, from the first day when he starts his comeback, to show his best performance,” assistant head coach Andreas Winkler said. “We know he cannot do that. We give him time, one week or two weeks, and maybe he starts as a substitute or a friendly match. We don’t put pressure on us. “It is not only up to him that we win matches. We will be patient with him. “He has a great attitude. Every day I have seen him running every day. One day on the pitch, I think he is a good player. 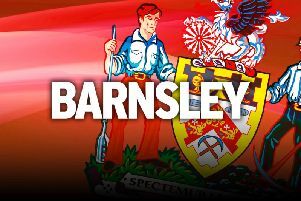 Barnsley are able to take a cautious approach given their excellent start to the season. They have no problems finding the back of the net – even without injured top-scorer Kieffer Moore – and have banged in seven goals in their last two games. Stendel's side are up to third in League One, having lost just one of their opening 12 games, and people are beginning to talk about them as promotion contenders. Defender Ethan Pinnock, though, is keen to keep their focus within the four walls of Oakwell. “We’re not too focused on what other teams are doing. We’re trying to focus on ourselves and take it each game,” he said. Barnsley visit Charlton on Saturday and will have Adam Davies and Kenny Dougall back from international duty.